The Ladies Mile is the epitome of a community pub offering cask ales, a wide range of lagers, ciders and wines combined with fantastic fresh food of the highest quality. Part of the Golden Lion Group of pubs, our family friendly pub is run by family and Paul and Gayle make every person welcome from the moment they walk through the amazing Art Deco front doors. Our child friendly garden with play area and seating is welcoming for all ages and we also have a popular function room for private hire. We’re based in Patcham on the outskirts of Brighton, be sure to drop in for a warm welcome and some delicious food! Our function room is a popular choice for events up to 120 people and has separate access from the pub as well as a private bar and bathroom facilities. The large airy room is tastefully decorated and we have inbuilt sound and lighting perfect for any celebration from a children’s party to a wedding reception! Food can be supplied from our excellent kitchen team and can either be buffet or sit down tailored to your budget and requirements. 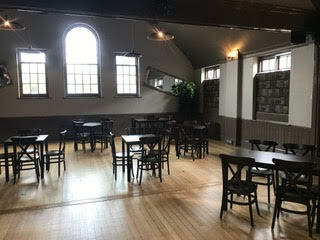 With a large car park servicing the pub and function room, the Ladies Mile ‘Hall’ is a great option for the larger party. Contact us for more information or to find out availability for your event. We host an array of events with a good focus on live entertainment. In recent years we have raised thousands of pounds for a number of different charities. 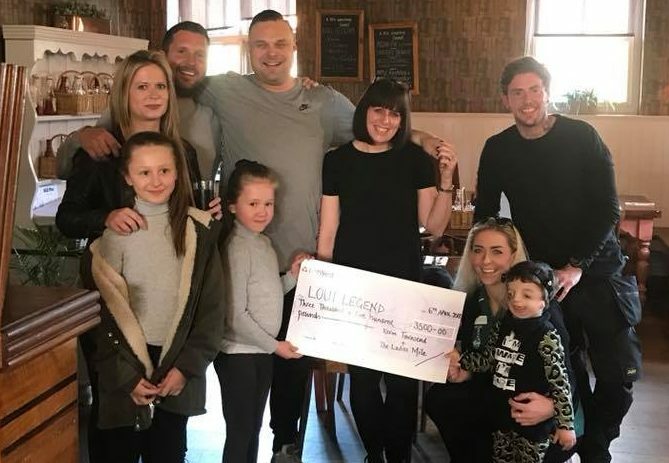 In 2015 alone the pub raised over an impressive £4000 for a local boy who was born with a condition called Treacher-Collins Syndrome, £673 for Macmillian, £800 for Martlets and £1250 for the Trevor Mann Unit! Since taking over the pub in 2004, Paul & Gayle have raised well in excess of £60,000 for local causes. The Mile holds regular live music, quizzes, family fun days and much more. To keep up to date with events coming up follow us on Facebook.